Hikosome is a traditional method of dyeing, in which colours are applied by hand using a soft paintbrush. 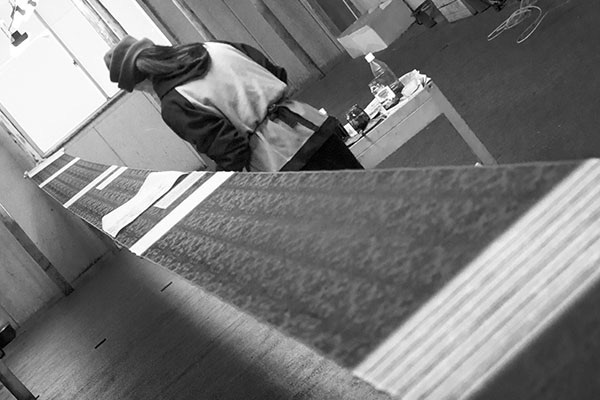 To create a kimono, this technique requires thirteen meters of fabric to be stretched taut while colours are painstakingly applied by hand. All of Roccoya’s hikisome items are hand-made by skilled artisans. 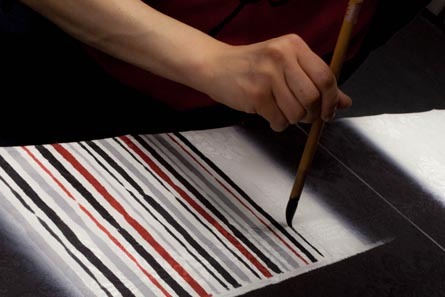 To create a chusen design, a stencil is used to apply glue to the fabric. Dye is then poured onto exposed portions of the fabric and allowed to soak through several layers. The resulting variations in texture and colour make each piece truly unique. 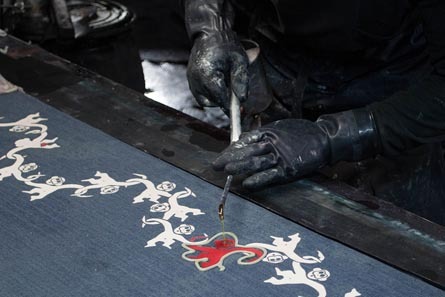 Unlike other techniques, drawing the dye through the fabric also results in an equally vivid image on both sides of the cloth. 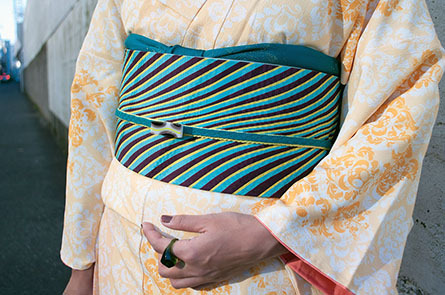 The patterns on Roccoya’s line of original yukata are produced by chusen artisans. Hakata ori has a history reaching back to the 13th century when a merchant named Mitsuda Yasouemon started producing it in the port town of Hakata in what is now Fukuoka city. The textures and patterns in Hakata ori are achieved by starting with very thin warps, then using a reed to weave wefts of various thicknesses into the piece. The process is so intricate that several artisans generally work on a single piece, each specialising in one step of the process. 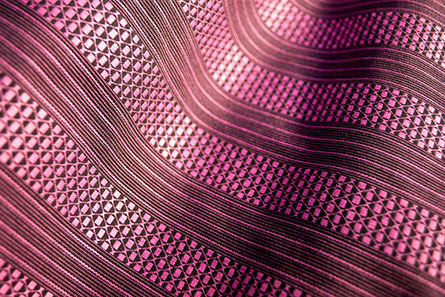 The resulting fabrics can be used to produce obi that are beautifully complex, and durable enough to pass on for generations. Roccoya’s Hakata ori are produced by skilled Chikuzen Hakata artisans with these techniques that have been passed down for eight centuries. 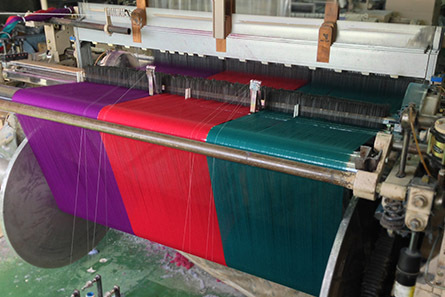 Banshu Ori is a centuries-old fabric making technique which begins with cotton in its raw state which is then spun, dyed, and woven in a manner that produces soft, richly coloured fabrics with a characteristic sheen. 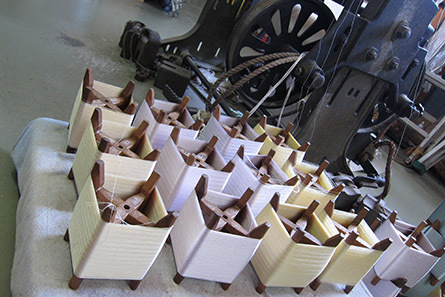 Some high-end textile makers in Europe and North America who wanted to replicate these qualities adopted the method of production during the 20th century, but the true heart of Banshu ori is still the town of Nishiwaki in Hyogo prefecture, where artisan families have been continuously producing the fabric for over 200 years. 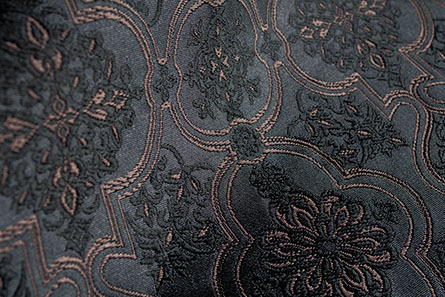 These artisans are now producing exclusive fabrics for Roccoya’s line of Banshu ori kimono. 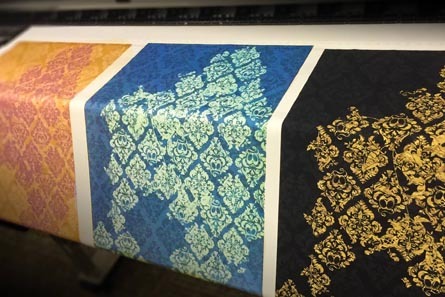 Direct printing using a digital fabric printer. It isn’t a centuries-old technique, but it allows us to tailor individual designs to meet the needs of specific clients, and to create entire pieces in-house. ©2015 株式会社ハミルトン & ろっこや All Rights Reserved.